After recent devaluations, the American Airlines AAdvantage program can provide value, but only if you know where to look. Intuitively, you’d think it would be beneficial to use your miles for domestic American flights, but unfortunately, that’s not the case. 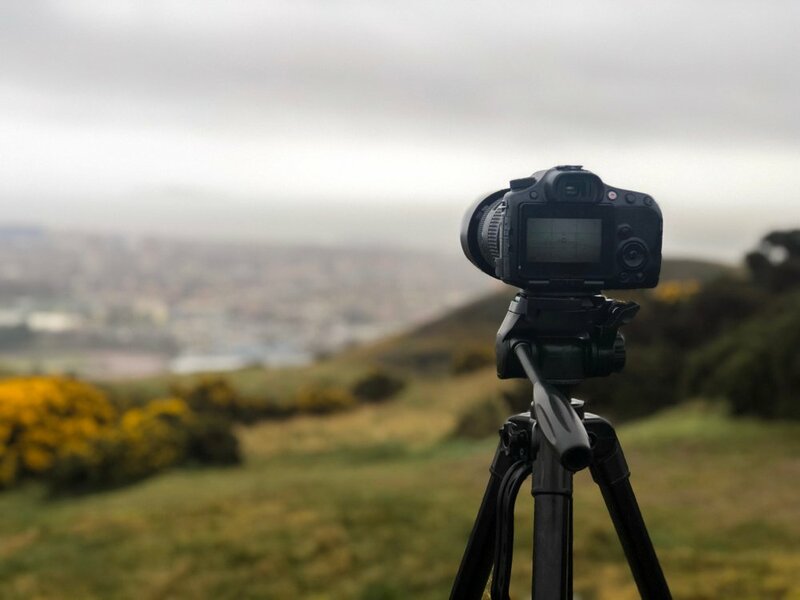 In this article, you’ll find out how to earn American Airlines miles and the best ways to use your miles. You can earn Marriott points and transfer those to American at a transfer rate of 3:1. Plus, for every 60,000 Marriott points that you transfer, you’ll receive an extra 5,000 American miles bonus. American Airlines uses 2 separate award charts, one for flying with American Airlines and another for flying on a partner airline such as Cathay Pacific. When you’re searching for an award flight, it’s important to note that the American Airlines search engine does not show all of its partner airlines award availability. Hot Tip: The Qantas and British Airways search engines will become your friends, as both are great ways to find an award flight not shown on the American Airlines website. American Airlines, along with the 2 other major U.S. airlines United and Delta, offer several flights across the Pacific to Asia. American Airlines divides Asia into different regions with Asia 1 containing Japan and Korea! 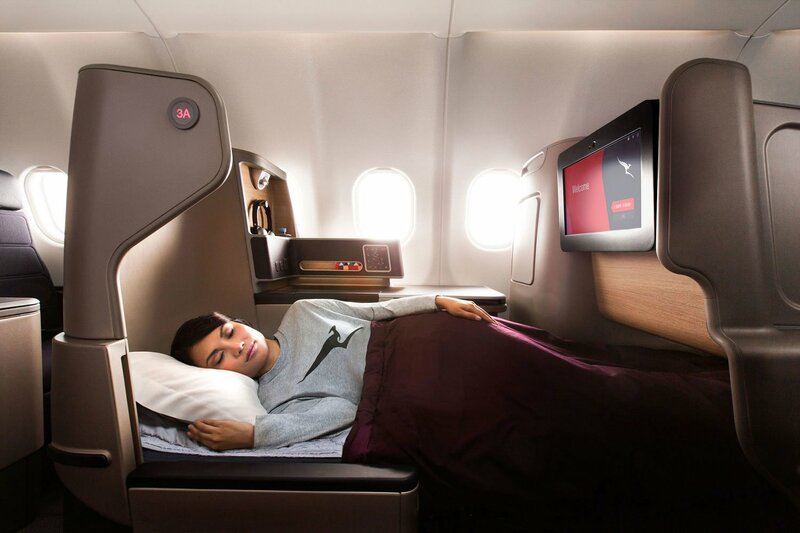 With 80,000 American Airlines miles, you can book a one-way Japan Airlines first class flight from the U.S. to Asia. 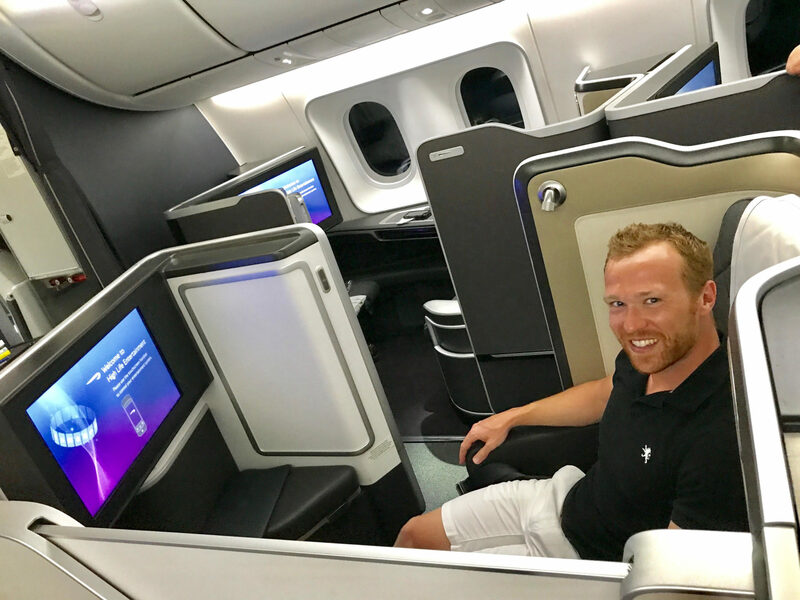 Hot Tip: Japan Airlines offers its first class product on flights across the U.S., which makes finding award availability a little easier. You can search for award availability on either the British Airways or Qantas website. We like the Qantas website because it shows you a month of award availability at a time compared to the British Airways website, which only shows you a week of availability at a time. Taxes and fees for a one-way Japan Airlines first-class flight to Japan will be around $45. You will need to call American Airlines reservations at 800-882-8880 and ask the representative to waive the booking fee. Need help booking an award ticket? See our step-by-step guide for booking Japan Airlines first class. British Airways flies non-stop to a ton of cities in the U.S. The main downside with this redemption, and a reason I nearly left it off, is the taxes and fees. With 85,000 American Airlines miles, you can book a one-way British Airways first class flight from the U.S. to Europe. Hot Tip: Factor in the taxes and fees when you’re calculating your cents per mile value. Unlike most airlines, British Airways has material surcharges that it passes on for flights. You can search for availability on either the American Airlines or Qantas website. If you find availability on the American website, you can book the directly on the website. 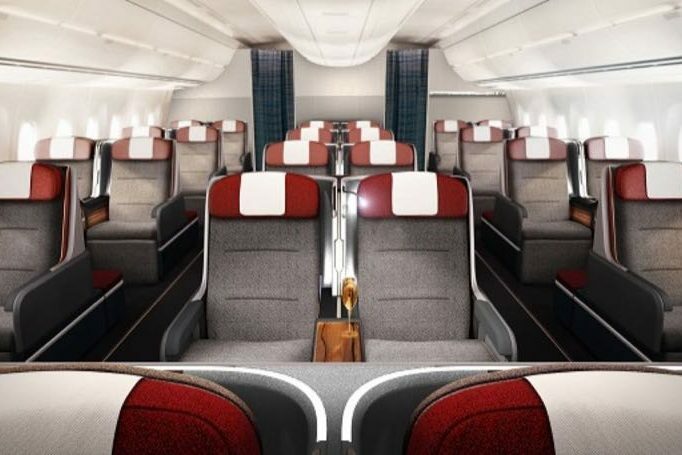 Taxes and fees for a one-way British Airways first-class flight to London will be around $782. Need help booking an award ticket? See our step-by-step guide for booking British Airways first class. American Airlines only offers first class on select routes to countries around the world. If you’re looking to fly this product to Europe, it’s important to know what routes to look for. With 85,000 American Airlines miles, you can book a one-way American Airlines first-class flight from the U.S. to Europe. You can search for availability on the American Airlines website, which is where you can also book the ticket. If you’re having trouble finding award availability, try using the British Airways website. Hot Tip: Based on a recent search, the Qantas website does not have American Airlines business or first- class availability on any date or any route. Taxes and fees for a one-way American Airlines first-class flight to London will be $5.60. Need help booking an award ticket? See our step-by-step guide for booking American Airlines first class. South America is broken into 2 regions in the American Airlines award chart. 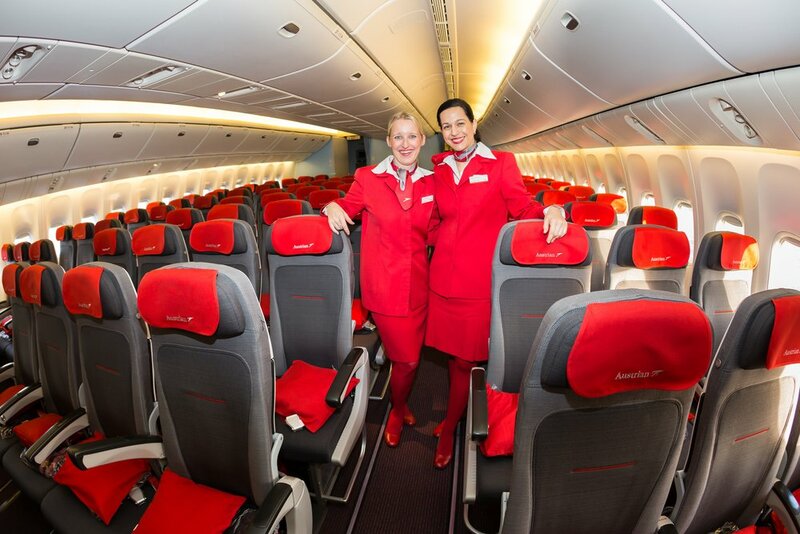 What’s great about this is you can find solid value on long-haul flights to the southern part of the continent. American Airlines lists Argentina, Brazil (excluding Manaus), Chile (excluding Easter Island), Falkland Islands, Paraguay, and Uruguay in its South America Region 2. With 85,000 American Airlines miles, you can book a one-way American Airlines first-class flight from the U.S. to South America. You can search for availability on the American Airlines website, which is where you will also book the award ticket. Taxes and fees for a one-way American Airlines first-class flight to Brazil will be $5.60. Bottom Line: Similar to Europe, American Airlines only offers its first-class products on select routes to South America. Need help earning more miles? See our best ways to earn American Airlines miles. As previously mentioned, South America is divided into two regions. South America Region 1 includes Colombia, Ecuador, Peru, Bolivia, and Manuas. With 100,000 American Airlines miles, you can book 3 one-way LATAM business class flights from the U.S. to South America and still have 10,000 miles leftover! Hot Tip: Business-class availability on LATAM is hard to find, so it’s important to use the British Airways and Qantas website to find availability. You can search for availability on the British Airways website, although non-stop award availability is tough to find. If you’re having difficulty finding award availability, try using the Qantas website. Taxes and fees for a one-way LATAM business-class flight to South America will be around $43. Need more ways to earn American miles? See our best ways to use American Airlines miles. Qantas only flies non-stop to 3 U.S. cities from Australia, making it extremely difficult to find award availability in a premium cabin. With 80,000 American Airlines miles, you can book a one-way Qantas business-class flight from the U.S. to Australia. You can search for availability on the American Airlines website. If you’re having trouble finding award availability, which is likely, use the Qantas website and then call American Airlines to see if they can find the same availability you found on the Qantas website. Taxes and fees for a one-way business-class flight to Australia will be around $51. 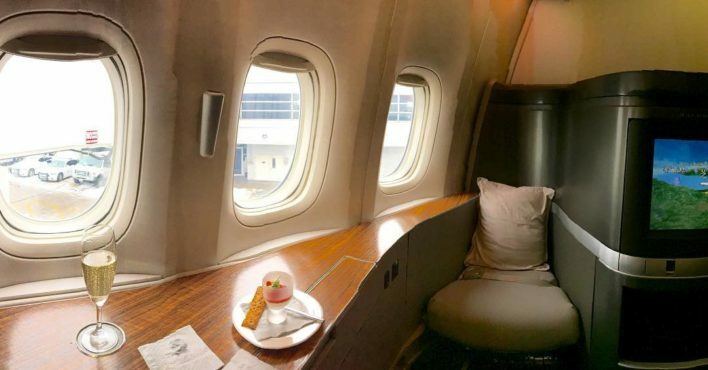 Bottom Line: Finding award availability on a non-stop Qantas business-class flight will be challenging, so it’s important to be aware of this when going into the award search process. Need help booking an award ticket? See our step-by-step guide for booking Qantas business class. 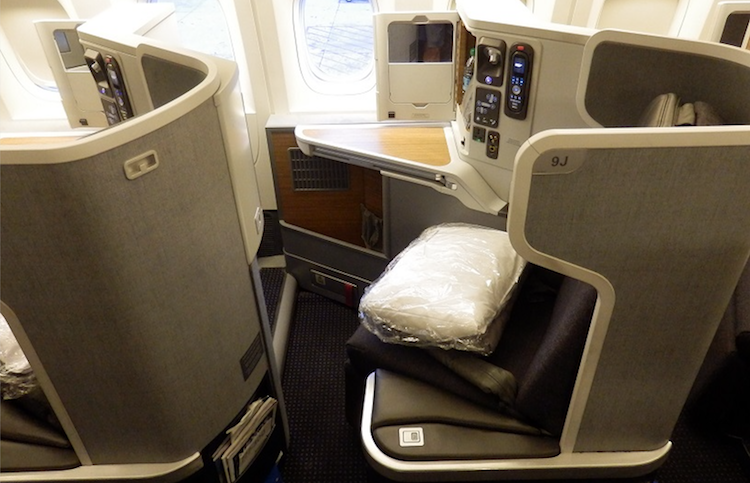 Experience American Airlines business class to Asia! Image courtesy of theluxurytravelexpert.com. 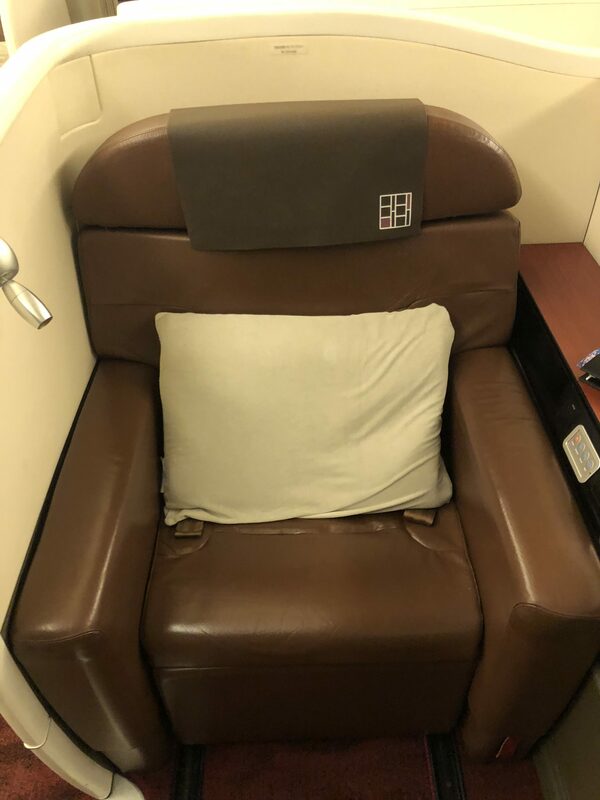 If flying Cathay Pacific first class to Asia doesn’t work out, you have a fall back plan in American Airlines business class. American Airlines divides Asia into different regions with Asia 2 containing China and Hong Kong. 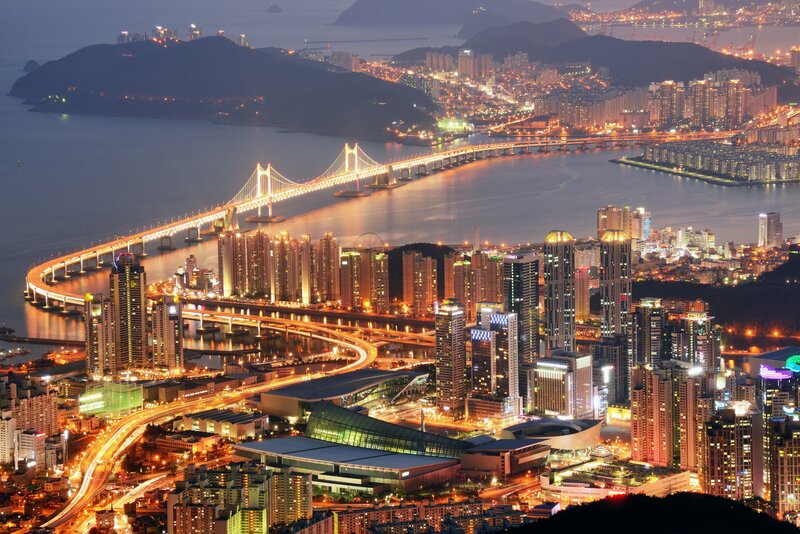 With 70,000 American Airlines miles, you can book a one-way American Airlines business-class flight from the U.S. to Asia. You can search for award availability on the American Airlines website. If you’re having trouble finding award availability, use the British Airways website and then call American Airlines to see if they can find the same availability you found on the British Airways’ website. Taxes and fees for a one-way American Airlines first-class flight to Asia will be $5.60. Bottom Line: Flying American Airlines to Asia from the U.S. can provide solid value because the revenue cost is high and the flights are long. Need more ways to use American Airlines miles? See our best ways to use American Airlines miles. If you find yourself still looking for more ways to use your American Airlines miles, see our “best use” redemption article for AAdvantage miles. While most of these redemptions are focused on premium cabins, you can still find value flying an economy award. The key for me is to make sure I am at least receiving 2 cents per mile in value for the miles that I’m using. As noted in the piece, the best value for your miles is to fly in a premium cabin from the U.S. to Asia, Europe, and South America. With American Airlines miles, you can leverage the Oneworld footprint for flights around the world! Not quite to that 100K mark yet and itching to spend some points? Check out our article on the Best Ways to Use 10K American AAdvantage Miles. The American Airlines frequent flyer program calls its airline miles AAdvantage miles. The miles you earn from flying on American or an American partner, earn from credit card spend, and redeem for award flights are called AAdvantage miles. What credit cards offer American Airlines miles? American co-branded Citi and Barclays credit cards earn American Airlines. What are EQM American Airlines miles? EQMs are Elite Qualifying Miles. EQMs are used to earn elite status within the American Airlines program. American Airlines has Executive Platinum, Platinum Pro, Platinum, and Gold elite status levels. Are American Airlines miles refundable? American Airlines can be refunded into your account for $150 if your award ticket has not expired. If you are an Executive Platinum member, the $150 fee is waived. When do American Airlines expire? American Airlines miles will expire in 18 months if you don’t have any account activity. I have 350,000 miles can I use them for other stuff besides flights. They are American Airlines miles.